Click the log in button above and sign in with your Jaspernet ID to access the announcements system. Once logged in, click Submit Announcement from the main dashboard area. 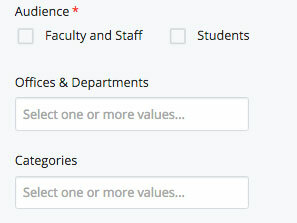 If you do not see this option when you log in, email cloughran01@manhattan.edu for assistance. Type in the headline for your announcement into the Title field. Tip: The headline is the first thing people read. Make sure it is compelling and gives a succinct summary of your message. 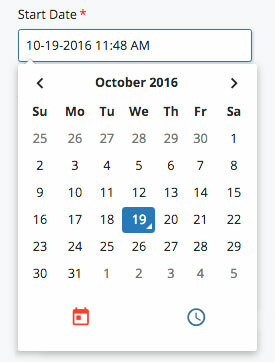 The default is the current date/time. Leave this as is unless you are submitting an announcement for a future date that shouldn't be published yet. Note: The MC Announcements email digest goes out each day at 6 a.m. In order for your announcement to appear in the email, the Start Date/Time must be set for no later than 3 a.m. on the day you want it to appear. This needs to be done manually before each day that you want the announcement to appear. If the announcement was included in the MC Announcements morning email but you'd like to schedule for tomorrow, simply adjust the Start Date to the following day as is listed currently. Then, click Submit. Note: **every time you change the start date, it's essential that you re-Submit the announcement. Select the audience who should receive your announcement, the associated offices or departments, and the category. You can select multiple options by holding the CTRL key (Command on Mac). Type in the text of your announcement. Use the toolbar to apply styling (e.g. bold, italic) if needed. Click the Save & Preview button then review what your announcement will look like on the website. Click on the Submit button to submit your announcement for publishing. Note, you must click twice as indicated by the pink arrows above. A spell check and broken link check will automatically run. Once your announcement is submitted, it will automatically publish and appear on the website within a few hours — there is always a short delay. 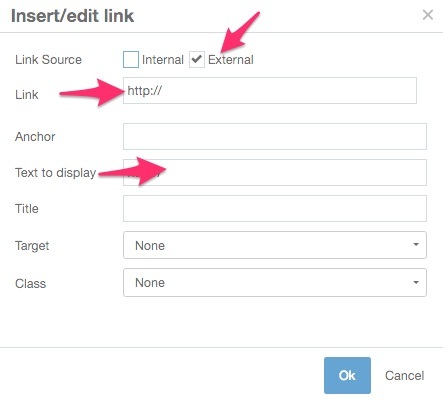 You do not need to separately click the Publish button. The Today at Manhattan email digest goes out each day at 6am. In order for your announcement to appear in the email, the Start Date must be set for no later than 3 a.m. on the day you want it to appear. 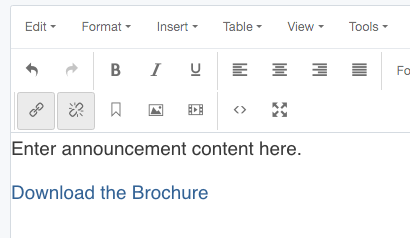 PDF files can be added as links to your announcement using your Google Drive account. These files should be supplementary only (e.g. a form or brochure). All important information must be included as text within the announcement itself. Photos cannot be uploaded as images directly into the announcement. If including images is integral to the meaning of your announcement, contact sarah.schwartz@manhattan.edu for assistance. With the announcements system editor, click on the link icon from the toolbar. You can edit an announcement after you have submitted it. 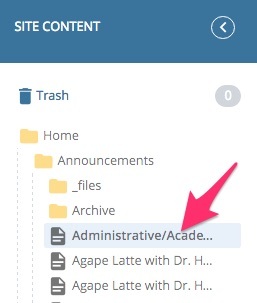 When you are logged in, you will see a list of all announcements you have submitted on the left side, or on the History area when you log in. Select the announcement you want to edit. 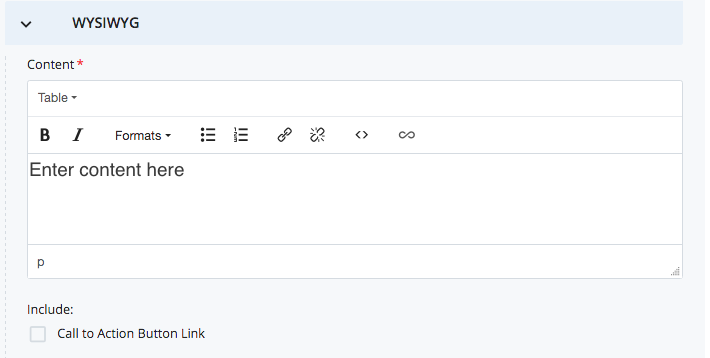 Click edit, then make any necessary edits to your announcement using the same procedures outlined in the Create a New Announcement instructions. Please note that students cannot access the announcements system. If you are a student and need to submit an announcement on behalf of a club or organization, contact the Office of Student Engagement or your faculty moderator. 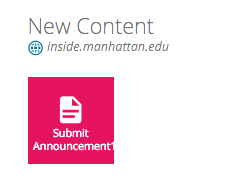 If you have any questions or problems submitting announcements, contact tguyton01@manhattan.edu for assistance.